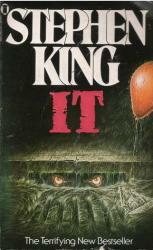 While most people might not realize Stephen King wrote The Green Mile, I was completely unaware that the original version of this book was released serially—much like Charles Dickens used to do with his books. The novelty of experimenting with this format is somewhat lost now that the volumes are collected together to create a whole narrative. Even so, King is still the master of his craft, even if there’s minimal “horror” contained within the walls of this prison. At least, it’s an expected horror through the system of capital punishment, and not tied to the terror of the unknown. Even though I enjoyed this story for its characters and plot, one element stuck out like a sore thumb: the framing via the retirement home. Sure, there’s a neat twist involved near the end, but so often the narrative would pull away from the time period in the prison to show some parallels to retirement living in a distracting way. I don’t think this added much to the story and it seemed to be more of a diversion than a benefit to the plot as a whole. Either way, these moments are few and far between, which helps move the action along. 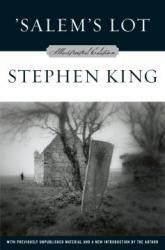 Overall, King’s descriptive writing brought much of the book to vivid life. His imaginative ideas and foreshadowing give the reader just enough information to figure out the real culprit of the crimes mere pages before the characters themselves were able to. Each of the characters is unique and has their own qualities that causes you to either love or hate them—depending on who they are. Even if you’re not a fan of Stephen King’s other works, I highly suggest you read The Green Mile, regardless. 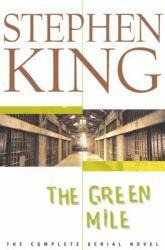 A fantastic non-horror Stephen King novel, I give The Green Mile 4.5 stars out of 5. Now that I’ve read the first three books in the Clockwork Century series, any hope I had of some cohesive narrative is essentially gone. 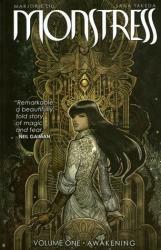 While following a new character for each book helps to provide a different setting of the steampunk alternate universe, when I know these characters won’t matter outside their own books, I kind of stop caring about them. Even previous heroines are relegated to cameo and minor character status as the persistent series of somewhat pointless events drags on. And don’t even get me started on the zombies, which are a distraction to any actual story in my opinion. I think the main problem I have with these books is the fact that things happen without much lead-up or foreshadowing. Sure, there are some fascinating factors involved with making a submarine work in the Civil War era, but the resulting battle and conclusion went exactly as I expected them to. This isn’t foreshadowing as much as it is conforming to clichés. There doesn’t seem to be much at stake in any of the character arcs, which is made all the more prevalent by the relatively uninteresting characters themselves. Some have distinguishable quirks, but they all feel flat in a world that could be that much more interesting. 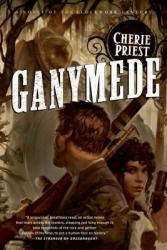 Another steampunk book in a series that isn’t going anywhere, I give Ganymede 2.5 stars out of 5. I read this novel on a whim - I had never read any of Wilde before and did not know too much about him as an author apart from the fact he was put on trial and imprisoned during his life. 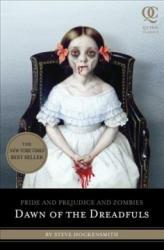 The Picture of Dorian Gray was thoroughly surprising and unexpected. 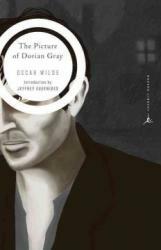 Dorian Gray, at the beginning of the novel, is perceived by Basil Hallward as an individual worth obsessing over, he is infatuated with him and without knowing Dorian yet, the reader is too. But then the reader is introduced to him physically and I realized he isn't all that. He's almost pompous but somehow clever and he's beautiful. Both Basil and his friend Lord Henry Wotton are influenced to see him more positively by that but I think the fact that Dorian is not tangible to the reader allows us to see him for who he truely is. According to Lord Henry, beauty is worth more than genius is, depicting which friend he prefers over the other. I wanted to sympathize with Basil because he was more sensitive than the others and I felt pity for him as I realized he was not a character anyone particularly cared immensely for. I preferred Basil over both Henry and Dorian because Henry's beliefs appeared rather traditionalist and were more controversial than common and the fact that Dorian was supposed to be a character without any fault was already a warning for me. 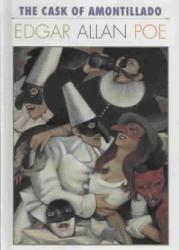 Honestly, from the title, I did not know what direction the novel was going in from any point during the reading. To clear a few things up, Basil is an artist who paints a portrait of Dorian because he appreciates him in a more aesthetic manner than others who enjoy his company but the portrait appears to change into something more demonic as time goes on symbolizing how awful Dorian was becoming as a person. I mean, I needed to stop reading for a few minutes because I could not believe how little Dorian cared for others but I will admit that the absurdity of it all was entertaining. There is a lot of murder in this book which definitely makes the novel more interesting but then I guess I should also mention not get too attached to some characters. After listening to this audiobook, it became abundantly clear why this story was adapted into a movie on three separate occasions (the most recent being the 2007 movie of the same name). 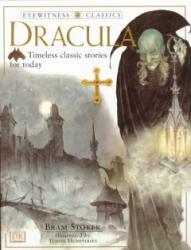 While this latest adaptation didn’t seem to emphasize the “vampire-ness” of the creatures as much as its source material, many of the elements of the story were still present. In fact, I now prefer the original story, as its prose was almost poetic at times in its descriptions of the main character’s struggle to survive. While the ending wasn’t particularly satisfying in either incarnation, the plot development was superb. I appreciated how the author was able to strip away the superstition that surrounds vampires and look at these fantastical creatures in a more logical and scientific light. Why do vampires hate garlic? Why does a stake through the heart kill them? Do crosses work against vampires who are Jewish or Muslim? His explanations of these well-known trappings of the vampire were as interesting in their revelation as they were in their research. Almost makes me wish that other “horror monsters” had the same treatment since it helps to make their existence somewhat more plausible. 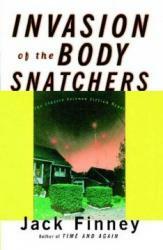 As for the “other stories” included in this audiobook, it soon becomes clear that Matheson is a master of the macabre. Even if the remaining stories don’t necessarily pack the same impact of I Am Legend, many of them are entertaining enough to round out the experience. The narrator’s voice acting certainly added to the characterizations of these other stories, even if seemed a little over the top at times. Overall, these other stories might have been somewhat unnecessary, as I Am Legend can hold its own by itself. 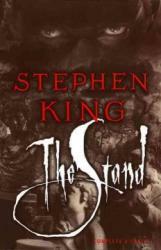 Still, the whole collection was entertaining, so I’d recommend it to anyone who likes to read horror. 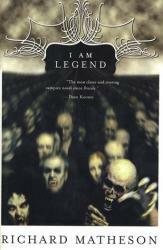 A poetic and logical examination of a vampire-induced apocalypse, I give I Am Legend and Other Stories 4.5 stars out of 5. One of the scariest and most tense books ever written, The Shining is a novel that will grab you by the neck and will not let go until you have turned the last page. 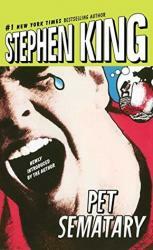 The book is about Jack Torrance, a recovering alcoholic who takes a position as the off-season caretaker at a Colorado Hotel. However, he soon goes insane from cabin fever and tries to kill his family. I personally loved this book. The suspense that it is able to build is incredible. The characters are all fleshed out and unique, and the book is truly terrifying. 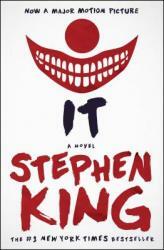 In my opinion, this is one of, if not the best Stephen King book. 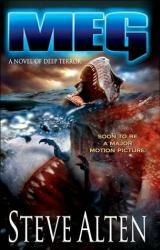 I would recommend it to Stephen King or horror fans. While Lord of the Rings and The Hobbit have had their moments as fantasy epics, I believe that The Gunslinger, and indeed, the whole series, deserves to be placed right next to Tolkien's masterpieces as one of the greatest fantasy books/series of all time. 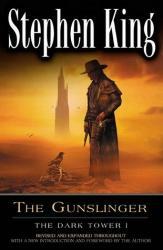 Taking place in a medieval world that is somewhat similar to the Old West, but exists in a parallel time frame to our own, we follow the journey of Roland of Gilead as he travels across this universe in search of the nexus of the universe--The Dark Tower. The novel is filled with adventure, intrigue, suspense, humor, and action that keeps you reading, no matter what. 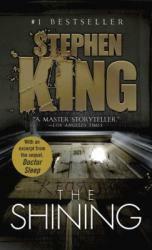 While not a traditional horror novel like King is known for, it is still a worthy addition to the King collection. 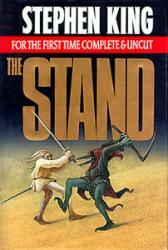 I would recommend this book to anyone looking for a great fantasy book series to read, or any Stephen King fan. 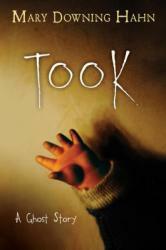 Took: a ghost story is about a family the moves to a not well known tiny town. The town has a person named Old auntie and her hog named Bloody Bones. They have been haunting the town for over 150 years. It is up to the 13 year old, Daniel, to stand up to the witch and make her stop. I liked the book because there was a good mystery factor. Overall, I would recommend this book to kids who like mystery novels.